So I should probably start this off by saying that throughout the course of our entire relationship, Tom and I have always been very decisive when it came to purchasing things. We picked out furniture on three separate occasions in less than an hour. We go and cut down our own Christmas tree and do that in less than an hour too. So, in hindsight, I should not at all have been surprised that we would find –and want — a house so quickly. We’ve been renting for 7 years now. Personally, renting doesn’t bother me, especially in our current apartment. 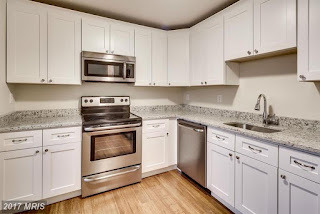 We have two bedrooms, two bathrooms, a ton of windows and natural light, a large kitchen, a laundry room in the apartment, a community pool that no one goes to in the summer, a fitness center right outside our window and most importantly – when something goes wrong, it is someone else’s responsibility to fix it. Tom, however thinks renting is nothing but throwing away money, which I do understand that in a way, it is. I’ve been signed up with Zillow for ages to get an email when new houses come on the market. Sometimes I look at it, sometimes I don’t. Two Friday’s ago, I did and there was a house that had a huge plot of land but was advertised as needing no money down. We knew we didn’t have very much to put towards a down payment and definitely couldn’t pay closing costs, so that’s why we really haven’t been looking. Anyway, the “no down payment” remark had me call in and as it goes when you call a real estate office, you get a whole spiel. Monday the 20th we met with a lender who pre-qualified us. It was pretty cool to find out that Credit Karma makes up their own numbers and both of our credit scores were significantly better than either of us thought. Anyway, Jeff the lender gives us the numbers for that house and then asks if there is anything else we are interested in. Randomly I mentioned a duplex that I had looked at online the other day. He ran those numbers as well and we were shocked to find out how much we’d need for closing costs and how cheap our mortgage would be. After seeing Jeff we headed over to the realtor’s office and mentioned the other property. He managed to get us in that night. We visited the first house, which was nice but not functional for us. Then we went to the duplex. It’s on a cul de sac, which I really like. The neighborhood is super quiet as well. At first, I liked the house but wasn’t sold on it. The original dining room is much too small for our new table and the kitchen doesn’t have the counter space that I need to prep. Tom came up with the idea to use the current family room as a massive dining room, enlarge the kitchen into the small dining room and then use the fully finished basement as a living room. And then it was like light bulbs kept going off with new ideas. The house is really nicely remodeled from top to bottom. It’s a 3 bedroom 2.5 bath and 2,100 square feet. There are bamboo floors on the main level, the cabinets are the soft close kind, there’s granite on the counter tops and all of the appliances are brand new. Everything has been painted as well. 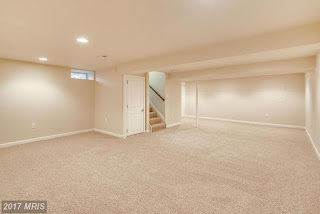 The basement is fully finished, painted and carpeted. The upstairs was also completely remodeled with new bathrooms, paint and carpet. In the basement we found a brand new hot water heater and HVAC. And promptly decided it had to be too good to be true. 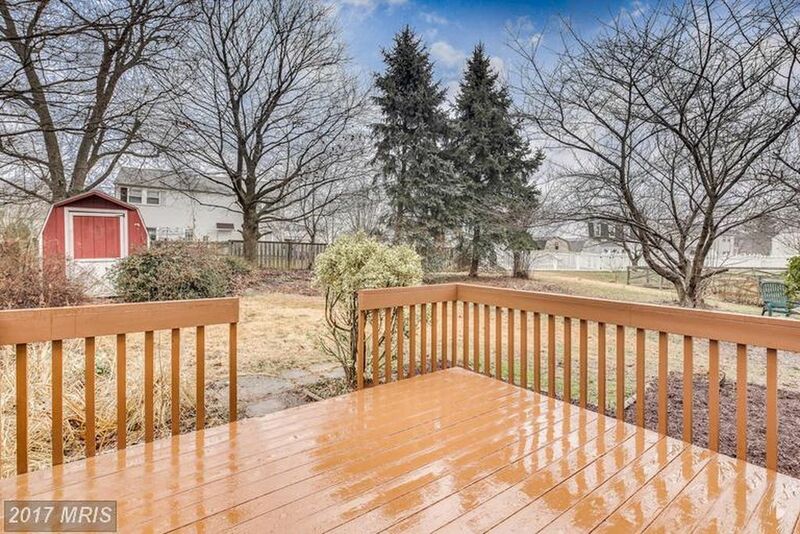 We saw two more houses on Wednesday for comparison, but we both could not stop thinking about this duplex. Tom was ready to make an offer immediately but I wanted to see it in the daylight. In the process of getting that set up, our realtor found out the house had been remodeled by a contractor and that it also had a new roof and a newly paved driveway. Essentially a brand new house with 42 year old exterior walls. I saw it again on Friday afternoon with the realtor and the biggest negatives are the lack of windows and the horrendous bush/brush piles in the back yard. On a sunny day, which it was, the house was not very bright. It could definitely benefit from another 4+ windows downstairs, which I think will be the first thing we do once we have enough equity to make it happen. I might only be able to take photos in natural light in the mornings on the weekend when it comes in the front of the house or I might be taking the food outside and photographing it on the deck which seemed to get decent afternoon light. By 3 pm we had received all of the documents to sign and had sent over an image of the deposit check. A little before 4 pm Tom and I had both signed off and the offer was submitted. We were told we would have a decision that night because the seller really wanted to sell the house. Our first offer was asking price with seller assist to cover closing costs. The seller countered with half of closing costs or adding $5,000 to the list price of the house and enough seller’s assist to cover closing costs. We both felt the house was under priced to begin with so we agreed to adding $5,000 to the asking cost. I also asked for a garbage disposal since the contractor could easily do that and it would involve us finding an electrician, buying one, etc. He agreed and around 8 pm on Friday night we were officially under contract. With terrible timing. Today, the 27th I have jury duty and I have no idea how long I’m going to be there. But I need to talk to our apartment complex, set up a meeting with the lender again, find a home inspector and get that scheduled. Then we go on vacation for 11 days. We’d close within 2 weeks of that and likely have a month after that to get out of the apartment. And in that month we have my birthday, an overnight concert trip, a Lularoe party I’m hosting and Easter that I’m hosting. Oh and Tom is going to be travelling a bunch for work. There’s already a list of projects that we need to do including something to make the driveway not so far from the street because my car scraped getting into it, adding a pantry wall, buying a washer and dryer and pulling at least clearing out all of the dead bushes and miserable landscaping. 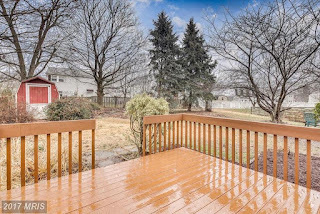 Honestly, the landscaping has it’s own list, but I really want to at least pull out all of the dead bushes and the two huge patches of ivy-like stuff on the ground that looks too inviting for critters. A bit of landscaping was done to the front so I feel like we could leave that for now, or do something really simple like a few plants and rocks, because that’s my level of keeping green things alive. We could leave all of the built-in edging around the side of the house to deal with next spring and if we cleared out the flower beds in the back, I’d love to also start a small garden next summer. I keep switching between looking at cheap decorating ideas and wondering what in the hell we managed to get ourselves into. I’m guessing that’s normal? Also, does it count as stalking the house if you drive by it while under contract? Congrats!! Buying a house is overwhelming but also very exciting. We're going through the process now but we also have to sell our current house, which is decidedly NOT fun. 😉 And we totally drive past our new house whenever we go out.